This afternoon I was the featured guest on a nationally syndicated internet radio show called Libertarians Working for You. 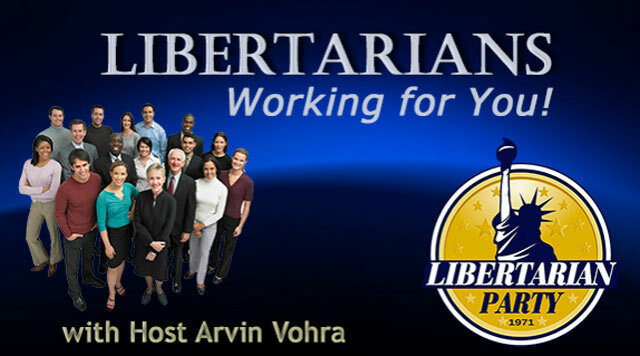 The show is hosted by Arvin Vohra and focuses on what changes Libertarian candidates across the country would bring into their respective offices. We had four different segments between commercial breaks and fit quite a bit of information in throughout the show. We began our conversation with how to address, and ultimately abolish the War on Drugs within the State of Texas. From there we moved onto removing both the TSA and the NSA from the State of Texas. After a second commercial break we came back to discuss how I would introduce marriage equality for the LGBTQ community within Texas. We ended the show with a discussion on how to remove crony-capitalism from within the State. Of course this last point tied heavily back into the War on Drugs given the crony-capitalism that exists between the state and militarized contractors. The show can be found on the Libertarians Working for You website in its entirety.